The DRS Rack is the pinnacle of a furniture grade stringed instrument storage system. Presenting the first, stackable guitar storage system available anywhere in the world. 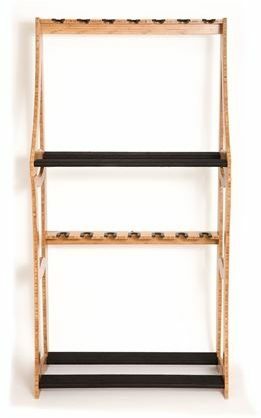 The Alpha Bravo rack allows for complete storage of 14 stringed instruments in a 38" wide space. Utilizing the same flat pack, single tool construction, this Alpha/Bravo combo stacks together via a simple 5mm pin in each corner. - Replaceable finish safe padded inserts are designed to allow easy access while keeping your instrument from falling out of the rack. 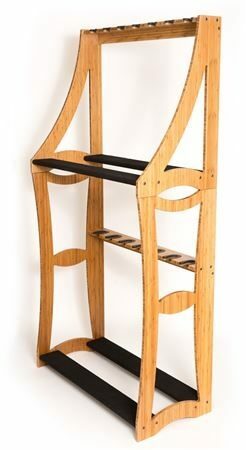 - The padded base can be assembled in two directions to help accommodate oddly shaped instruments. zZounds is an authorized dealer of DRS Racks products.